Bluetooth Beacons are the centerpiece of Bluetooth Beacon systems and placed on items or people to identify what, Who and where they are. Similar to an active RFID tag, Bluetooth Beacons are powered by a battery and broadcast their data to nearby Gateways, which then pass this information along to a backend software or system such as our ClearStream Software. 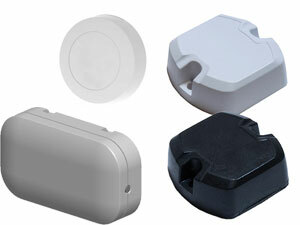 PTS offers Bluetooth Beacons in all shapes and sizes and can be used to broadcast different types of data. See our Bluetooth Beacon Technology Overview to learn more about the technology and the different types of beacons available.